Despite some fine individual performances across the grades, all wins from the seven matches went to the home club. The men’s Seconds, playing at the Albert Ground, put in a most emphatic performance whilst most pleasingly, our men’s 4ths and women’s 2nds christened our new Beaumaris Secondary College (BSC) oval with wins. The men’s 2nds, bowling first, held Geelong to just 8/158 off the allotted 50 overs. 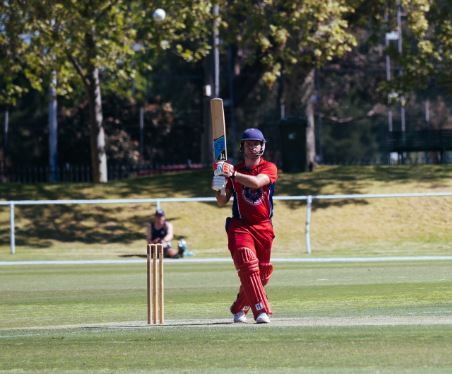 Zac Mevissen (4/31) starred with the ball and Aaron Boyle (2/19 off 10 overs) made an impressive return to his Demon colours. Not sure what match manager Bruce Wilson put in the cordial at tea, or if front row seats at WWE beckoned, or the desire to watch Winx two hours before scheduled stumps inspired them, but Peter Petricola (85 off 55 balls, 12 fours and two 6s including one off the first ball on the innings) and Jack Harper (64 off 58 balls, six 4s and three 6s) raced to 0/160 in just 18.3 overs – job done! The 4ths had a much tighter encounter at BSC. Bowling first Dominic Bandara’s spin captured three wickets, as did Shane Giese’s, and with tight bowling by Michael Cesarios, were set 172 for victory. Thirties to Pat Frawley, Josh Benson and Alex Pellin kept us on track but the loss of wickets left it to Gieser (29 n.o.) to guide us home eight down with eight balls to spare. The other winning combination was the women’s 2nds. Batting first, Jennifer Sherman (33) built on a reasonable start by the openers before new skipper Clem Ryan-Fuller made 53. From there Tegan Orwin took over, making an unbeaten 50 off 50 balls, her first half century for the Demons. Tegan followed up with 2/13 off 9 overs while Kampi Nainhabo starred taking 3 for 12 off her nine. An excellent display in the field brought up a convincing 103-run win. The men’s 1sts travelled to Geelong and were set a challenging 6/276 after Sean Sturrock (3/43 off 10 overs and three catches to boot!) clearly did best in the field. 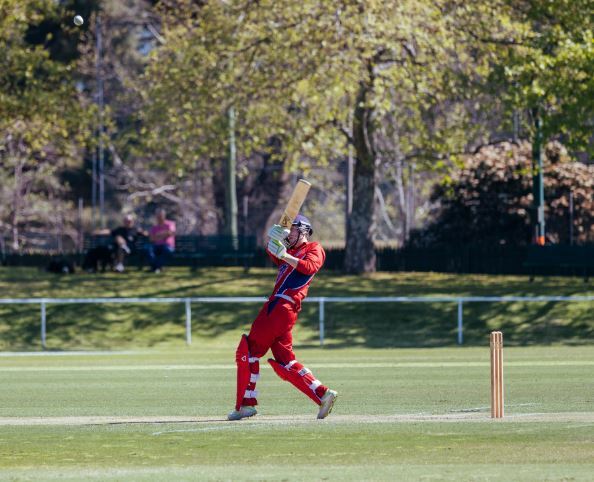 With the challenge set, opener Sam Harper responded in brilliant style by making 114 (108 balls, six 4s, three 2s). He found a willing partner in Blake Thomson (67) and at 2/207 with 10 overs remaining we appeared well set to meet the challenge. Unfortunately Sam’s dismissal was followed by a succession of wickets – 7 for just 27 in fact – and we went down by 36 runs. The 3rds battled more difficult batting conditions but were a little disappointed to be bowled out for 123. Having Geelong 6/55 then 7/74 gave us plenty of hope however there was no more joy and we lost by three wickets. Josh Ash (2/18 off 9 overs) was the best of the bowlers. Our women’s 3rds (Shield grade) start their season with the T20 competition and kept Kingston Heath to 5/95. Wickets spread but notably English visitor Eloise Maxa went for just six runs off her four overs alongside her wicket. Chelsea Wemyss (26 n.o.) lead the chase but we stumbled to fall 32 short.